2016 has been a year of making decisions for me. Big decisions. Whether in our personal lives, at work, or in buying and selling homes, the best decisions are made with both emotion and logic. Yet, as much as we would like to think that our decisions are always rational, it is our gut that often leads the way. 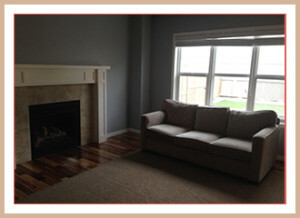 After: We chose furniture that would complement the beautiful colours of the walls and floors. This rings true for me in terms of making decisions in my personal life and in my business. I also see the dynamic at play with my clients. 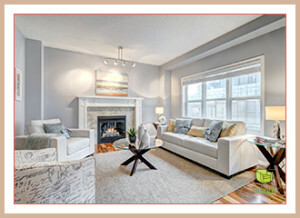 In my work as a professional home stager in Calgary, I approach every staging project with emotion and logic in mind. What I know from experience is that, when potential buyers are making decisions about which home they will buy, it is emotion that ultimately triggers a sale. 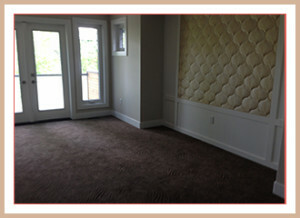 Before: Master bedroom before home staging. After: Don’t you love art? This large statement piece brings everything together. So, while I stage properties with logic in terms of designating clear room functions and highlighting features so potential buyers can check off the boxes on their must-have and wish lists, what I am focussing on in selecting staging furniture, art, and accessories is the emotion that I want to invoke in the buyers. I stage to appeal to their desired lifestyle and how they want to feel in the space they will call home. Making decisions on the home front has also been guided by emotion and grounded in logic. Most recently, I became engaged to the man I love and who I have shared my life (and home) with for several years. 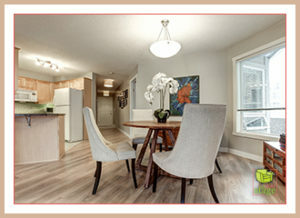 After: The cozy dining table & chairs give lots of space to walk around and enjoy your in-floor heating over the easy to clean laminate flooring. We also decided to sell our condo in our beloved Sunnyside neighbourhood in order to move up the property ladder. And, despite the fact that our condo has been sold, we are taking our time to find our next home based on what feels right. It’s the same way that many home buyers are approaching their search. Even with large financial decisions like buying and selling real estate, emotions factor in significantly. For sellers, understanding this decision making “truth” is extremely powerful. 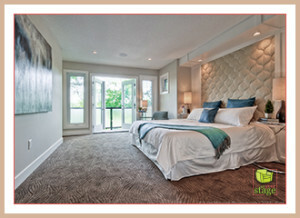 If you are planning to sell your Calgary house or condo and want help making decisions about how to appeal to the emotions of your potential buyer so you can sell faster, I invite you to find out more and contact me, Jen Campbell at Set Your Stage, where we get proven results for our clients. This entry was posted on Saturday, July 23rd, 2016 at 3:23 PM	and is filed under About Jennifer Campbell. You can follow any responses to this entry through the RSS 2.0 feed. You can skip to the end and leave a response. Pinging is currently not allowed.